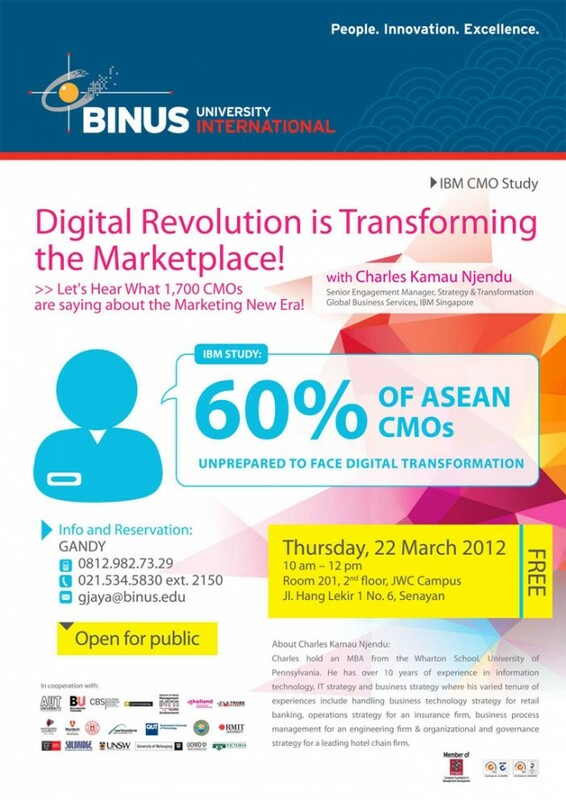 BINUS INTERNATIONAL is going to present IBM CMO STUDY on topic “Prepare for Complexity from Digital Era Transformation”. Open to the public and FREE! !